If you’re hunting for the smallest blheli_32 capable 32bit ESC’s, the Airbot Wraith32 Mini ESC’s will certainly fit the bill providing 25Amps of power. 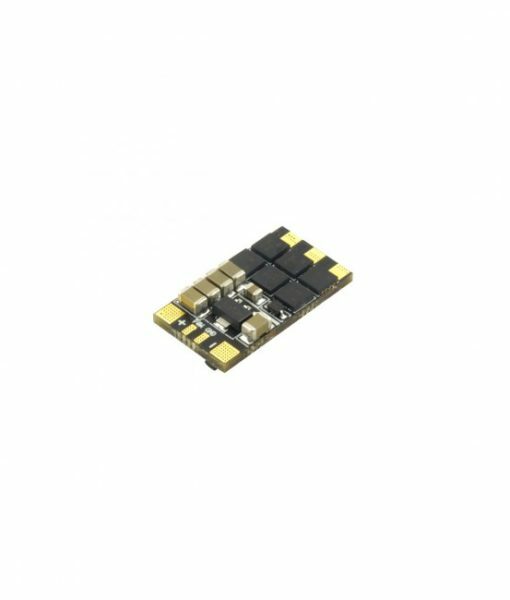 The Airbot Wraith32 Mini ESC runs in conjunction with an ARM 32bit compatible MCU, such as the Omnibus F7 Flight Controller. That being said, the Wraith32 Mini can run input signals with lower latency, at faster rates, smooths out the RPM band, is capable of both voltage and current monitoring and limiting, as well as offering customization of the brake on stop force. Unlike current ESC’s, the Wraith32 Mini ESC has A LOT of room to grow and wide compatibility range with future products. One of the nicest features with the Wraith32 is the auto timing feature, which (essentially) is designed to offer the pilot the smoothest and most efficient flight experience available, which is a freestyle pilot’s dream come true! 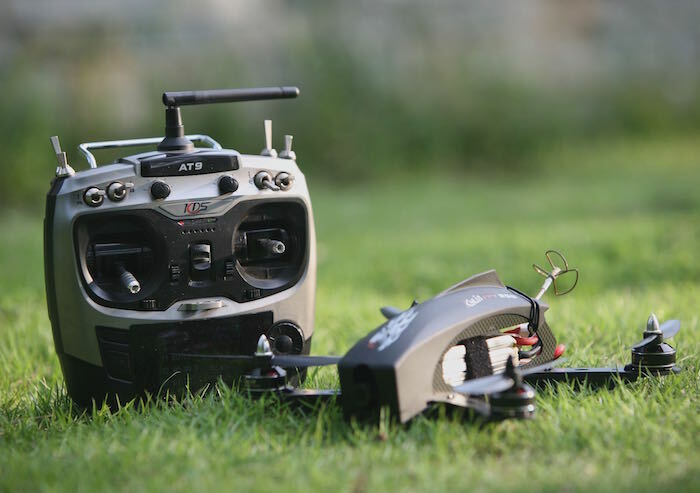 When compared with an appropriate flight controller the Airbot Wraith32 Mini ESC is capable of Dshot 1200 up to 32kHz. Configuration via transmitter is in development which means you may soon be able to make ESC changes via the Omnibus F7’s built-in OSD!!! 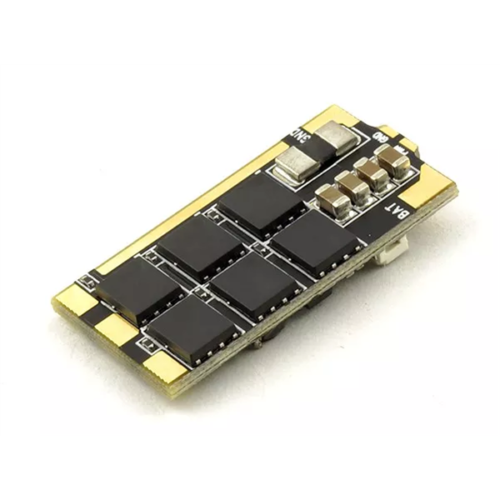 – Like programmable pwm frequency, up to 48kHz, that can run motors even smoother, and also allows for moving of small but potentially disturbing humps in the throttle response. All ESCs have these bumps, with BLHeli_32 they can now be moved in the rpm range, to a place where the system has low sensitivity to them. – Like auto timing. Which is not the option to choose if you’re after max power. But if you want the most efficient running with very good robustness against desync, it is the perfect choice. – Like voltage and current limiting. Which is implemented in the code, and will be supported on some ESCs. Voltage limiting is desirable for fixed wing crafts. And current limiting adds protection against ESC failure. – Like programmable brake on stop force. Which allows control of the braking of fixed wing props. – Like improved direction change in bidirectional mode. – Like more to come in the future. Such as setup from the FC by using Dshot commands. Such as telemetry functionality. There is room to grow performance and functionality. Rampup power can be set to relative values from 3% to 150%. This is the maximum power that is allowed when ramping up at low rpms and during startup. For low rpms, the maximum power to the motor is limited, in order to facilitate detection of low BEMF voltages. Rampup power also affects bidirectional operation, as the parameter is used to limit the power applied during direction reversal. During startup, the actual applied power depends on throttle input, and can be lower than the maximum level set by the rampup power parameter, but the minimum level is a quarter of the maximum level. Motor timing can be set between approximately 10 and approximately 310 in approximately 10 increments (actual accurate values here are 15/16ths of a degree). Typically a medium setting will work fine, but if the motor stutters it can be beneficial to increase timing. Some motors with high inductance can have a very long commutation demagnetization time. 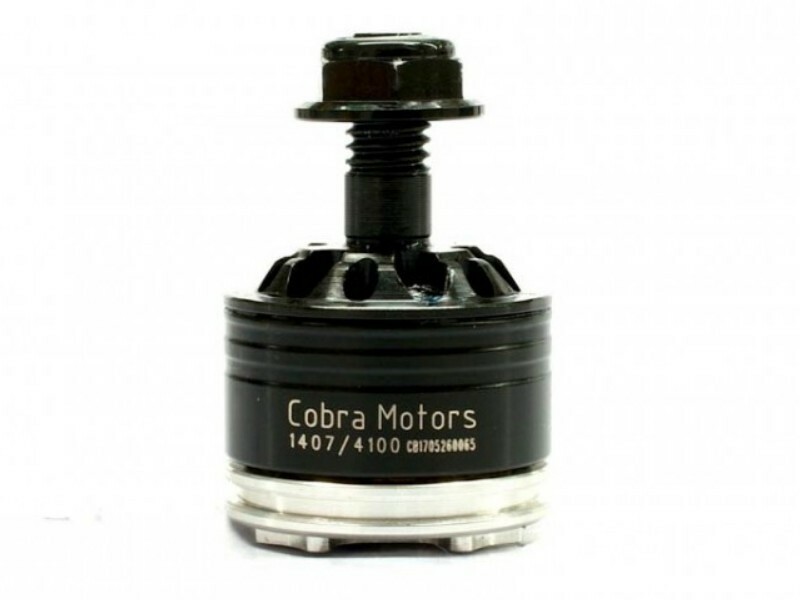 This can result in motor stop or stutter upon quick throttle increase, particularly when running at a low rpm. Setting timing higher will allow more time for demagnetization, and often helps. This parameter can also be set to auto. I this case the code monitors demagnetization time, and keeps timing as low as possible without having issues with demag. On well behaved motors, timing can be low in the entire power range, and thereby max power can be reduced. On not so well behaved motors, timing is increased as needed, and thereby improves margins against sync loss. Motor pwm frequency can be programmed between 16kHz and 48kHz. Higher pwm frequency can run motors smoother. Programmable frequency also allows for moving of small but potentially disturbing humps in the throttle response. All ESCs have these bumps, with BLHeli_32 they can be moved in the rpm range, to a place where the system has low sensitivity to them. Demag compensation is a feature to protect from motor stalls caused by long winding demagnetization time after commutation. The typical symptom is motor stop or stutter upon quick throttle increase, particularly when running at a low rpm. As mentioned above, setting high commutation timing normally helps, but at the cost of efficiency. Demag compensation is an alternative way of combating the issue. First of all, it detects when a demag situation occurs. – In this situation, there is no info on motor timing, and commutation proceeds blindly with a predicted timing. – In addition to this, motor power is cut off some time before the next commutation. A metric is calculated that indicates how severe the demag situation is. The more severe the situation, the more power is cut off. When demag compensation is set to off, power is never cut. When setting it to low or high, power is cut. For a high setting, power is cut more aggressively. Generally, a higher value of the compensation parameter gives better protection. If demag compensation is set too high, maximum power can be somewhat reduced for some motors. Maximum acceleration can be set between 0.1%/ms and 25.5%/ms. It can also be set to maximum, in which case acceleration is not limited. Limiting acceleration is primarily intended as a backup parameter that can be used in cases where too hard acceleration gives desyncs. When setting to e.g. 10%/ms, it means that the power applied to the motor is not allowed to increase by more than 10% per millisecond. If disabled, throttle calibration is disabled. These settings set the throttle range of the ESC. Center throttle is only used for bidirectional operation. The values given for these settings are for a normal 1000us to 2000us input signal, and for the other input signals, the values must be scaled. For Dshot input signal, these settings have no effect. Low voltage protection can be set between 2.5V and 4.0V per lipo cell. Or it can be disabled. When enabled, it will limit power applied to the motor if the battery voltage drops below the programmed threshold. This feature is primarily intended for fixed wing crafts. Current protection can be enabled to limit current. If enabled, then current will be limited to maximum the programmed value. The reaction time of the current limiting is quite fast, so current will also be limited during accelerations. Available throttle calibration range is from 1000us to 2000us, and the difference between minimum and maximum throttle must be more than 140us (70us in bidirectional mode). If a calibration is done where the difference is less than 140us (70us), the maximum will be shifted so that the difference is 140us (70us). Oneshot125 mode works just the same as regular 1-2ms mode, the only difference is that all timing is divided by 8. And the same for Oneshot42, where all timing is further divided by 3. Multishot also works similarly, except the input signal range is 5-25us. Dshot is supported at any rate, up to at least Dshot1200. When the input signal is Dshot, throttle calibration is disabled, and the throttle calibration values are ignored. 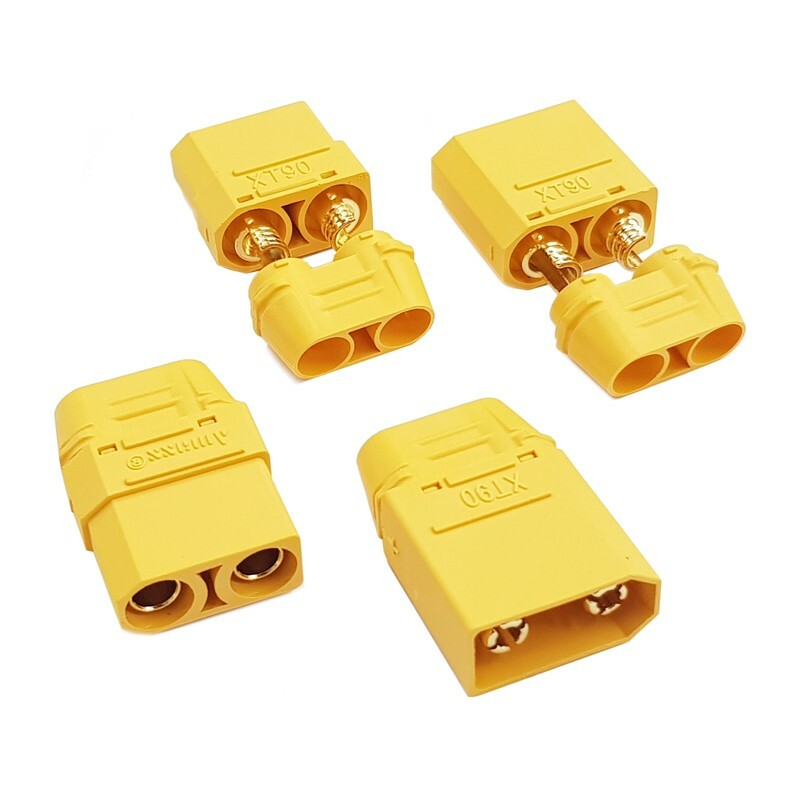 Input signal rates up to at least 32kHz are supported. But please note that higher input signal rates put a heavier load on the MCU, and will reduce the maximum erpm that the ESC can handle. Dit artikel is aan ons assortiment toegevoegd op dinsdag 15 augustus, 2017.